Through a gazetted Senate Bill 346 sponsored by Solomon Olamilekan of the All Progressives’ Congress (APC) from Lagos West Senatorial District, the Upper Legislative Chamber has given full powers to governors to issue unconditional directives to the Police in their states. A copy of the Bill obtained by The Guardian, specifically deleted the proviso in section 215 (4) of the 1999 Constitution as amended that empowered the President to overrule any orders given to a Police Commissioner by the state governor. The Bill also seeks to nullify the provision in section 215(5) which had prevented any court from entertaining cases arising from such orders issued by the President to the police. Greater control of the police by states will douse tension between the presidency and state governments over local policing, bolster efforts at fighting crime and ease governance. Effective policing at that level would also help states build the required infrastructure to create jobs. There have been loud calls for political restructuring of the country for effective policing at the state and local government levels in response to rising spate of crime, including insurgency, armed robbery and kidnapping. The idea of state police has received increasing support despite Federal Government’s insistence on total control of the force. It was also part of the recommendations of the 2014 National Conference convened by former President Goodluck Jonathan which the current government has refused to implement. Managing Director of Beacon Security Consulting, Kabir Adamu, expressed worry that the political situation in Nigeria does not favour the decision, as its implementation would help political and self-serving interest prevail. He said: “But I think it would be better if one sees the checks and balances the Senate intends to introduce in the new law and to ensure that this very vital institution of law enforcement is not used to serve either political party or self interest. If they do not introduce checks and balances, then it is a recipe for national disaster,” Adamu argued. Aliu Umar Babangida, who manages the Abuja-based Goldwater &Riversand Consult, a defence and national security firm, agreed with Adamu. “It is necessary but not yet the right time to allow governors exercise control over Commissioners of Police,” he told The Guardian . The Police force in its reaction said it would simply enforce any law made by the Legislature and signed by the Executive arm of government. “I can’t comment on political decisions; we are professionals and law enforcers. Whatever law comes into force, we would obey, Force Public Relations Officer (FPRO), Don Awunah, told The Guardian. He described the Police as an agency vested with the responsibility of enforcing the law, while the National Assembly makes the laws. 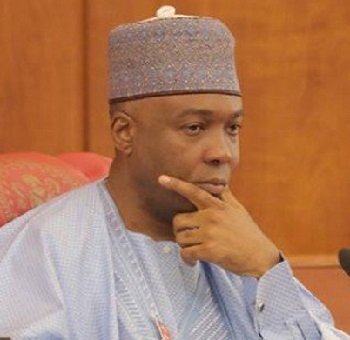 The amendment, according to sources within the Senate, became necessary following undue control of the police by the Federal Government and its agents in Abuja, which has made it difficult for governors to promptly address security issues in their states. As if underscoring the move by the upper legislative arm, former President Olusegun Obasanjo yesterday urged Nigerians to give the police the necessary support for effective and efficient policing. Obasanjo spoke in Abeokuta at a maiden meeting of the Eminent People’s Forum (EPF) and launching of “Change Begins with me” of the Ogun State Police Command. The State Police Commissioner, Ahmed Iliyasu disclosed that the EPF is a collaborative group that works to make policing more efficient. The former President disclosed that the work of the police is a difficult task; hence, society must help them to perform their duties. Obasanjo explained that security of the society must be done collectively. He urged the people to assist the police in the community with necessary information. Ogun State Governor, Senator Ibikunle Amosun, a direct beneficiary of the proposed law, who was represented at the event by Secretary to the State Government, Mr. Taiwo Adeoluwa, lamented the total loss of public trust in the police and urged men and officers of the police to do everything possible to evolve new strategies at combating crime and restore confidence in themselves. The Bill, when successfully passed by the Senate, will face little hurdle in the state legislatures which are required to endorse any amendment of the constitution by the national legislsture before it becomes valued. But with the governors already itching to enjoy powers similar to having a state police, the amendment could have a smooth sail in the 36 Houses of Assembly.